History: 70 year old female with abdominal pain. 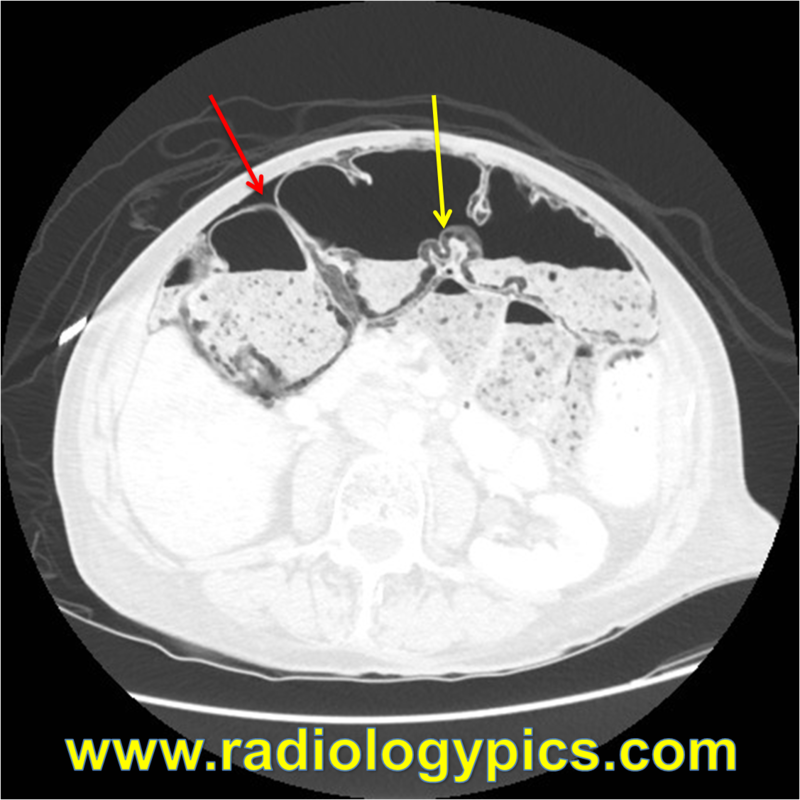 Axial CT scan through the abdomen in lung windows. What are the yellow and red arrows pointing to? What is your diagnosis? Share below! Yes, the red arrow is indicating pneumoperitoneum; however, the yellow arrow is indicating pneumotosis intestinalis.